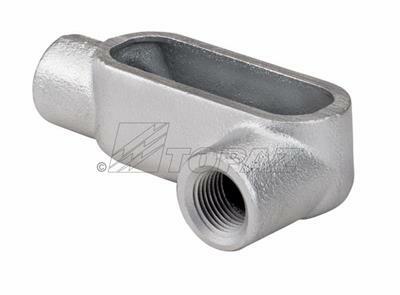 779GLT Form 7 Liquid Tight Cover With Integral Gasket 3-1/2-4"
Offering the best protection on the market—Topaz’s unique Form 7 Cover Liquidtight Cover with Integral Gasket wedge-shape engineering allows for easy removal without damaging the conduit body and eliminates the need to re-tap corroded body screws. Liquidtight installations assures body will remain free from elemental damage. 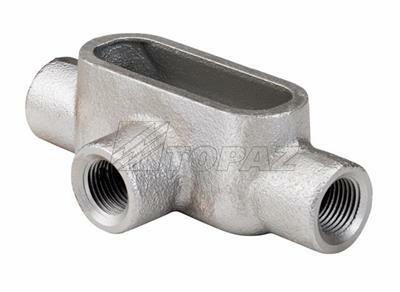 Cover screws have beveled heads to match chamfered screw holes that prevent water from entering conduit body. 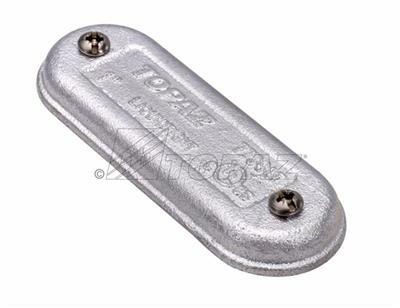 Our Iron Covers feature a zinc plated finish for enhanced durability and continued safety. 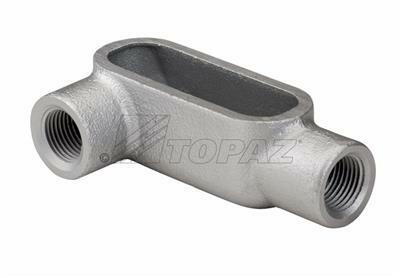 Topaz’s Form 7 Conduit Bodies and Covers are interchangeable with every major brand Form 7 Series. Meets Federal Spec. 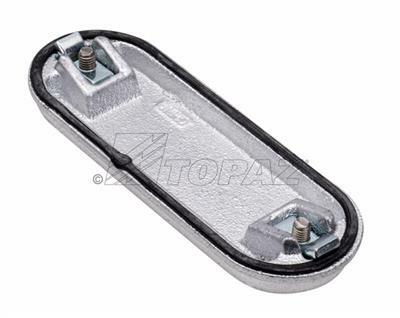 A-A 50563; NEMA FB1 and NEMA 4X approved raintight when installed with cover and gasket. IP65 protection rated to withstand intrusion of damaging water and particles, avoiding product compromise. 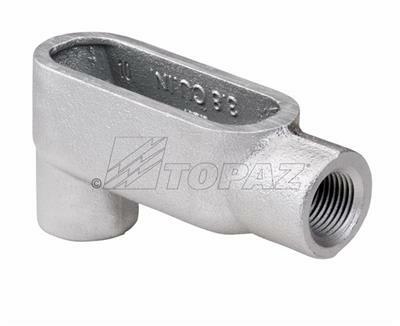 UL514A and UL514B listed and available in sizes from 1/2” to 3 1/2 - 4”.